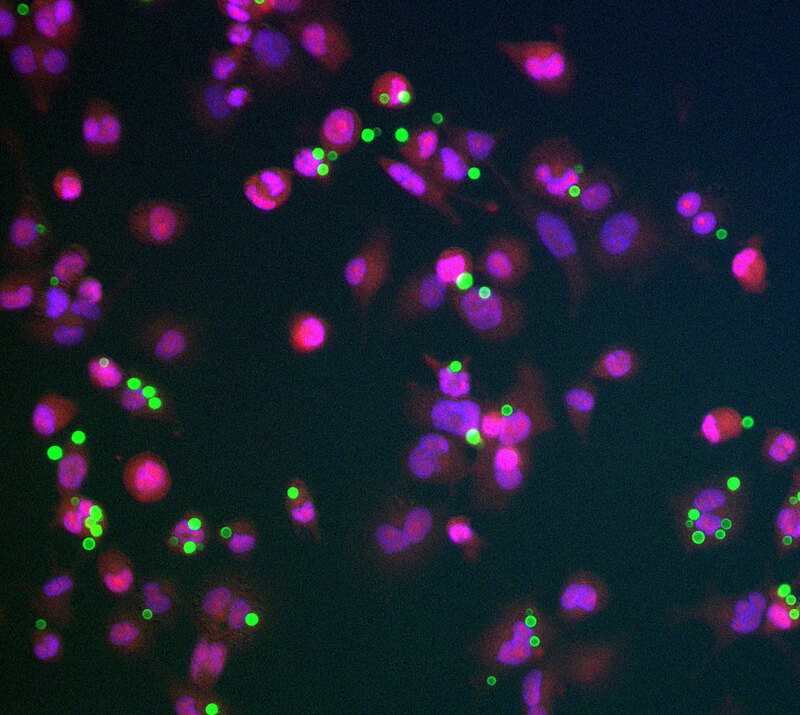 Cryptococcal cells (green) interacting with the human THP-1 phagocytes (nuclei, pink; cytosol, red). Image by Deepa Srikanta. See Srikanta et al, 2011.